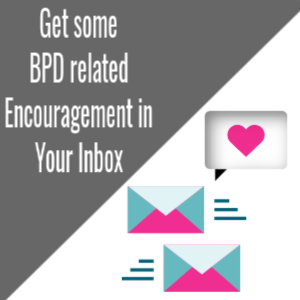 One of my online DBT students is choosing to notice and pay attention to how she can be quite sensitive TV shows, movies, books, and the like, causing her to feel emotionally dysregulated. So, we got curious about this. If you find that you’re sensitive to certain media content (the news, stories about animals, conflicts in relationships), read on. Dramatic, emotionally provocative media (movies, television shows, commercials) is designed to emotionally affect people in general. As emotionally sensitive people, we can be even more susceptible to being impacted, ultimately emotionally dysregulated, by emotional stories and situations. Why is this? There are a number of reasons for this ranging from having a reactive sympathetic nervous system (perhaps due to past trauma) to the responses of the Reticular Activating System (RAS) portion of our Nervous Systems. The RAS is said to process about 2 million bits of information per second, favoring (paying most attention to) information that confirms what we already believe to be true and, therefore, possibly coloring our world in a way that may not always be accurate. For example, if we believe the world is a scary place, we will tend to notice things that confirm this. If we believe the world is a safe and peaceful place, we’ll tend to notice things that confirm this way of thinking. In the process, thoughts and emotions that may not fit the facts and serve our highest good may be reinforced. For example, seeing a news story of a scary crime that gets coverage (for which the odds are very low that you’re in danger) can have you disproportionately afraid that something is going to now happen to you. Here’s another more specific example of how the RAS works in everyday life. Let’s say you go hiking and someone approaches you in the parking lot near the trail and says that a mountain lion must have been very hungry because one was spotted in the parking lot a few days ago. Even with this rational thinking in place, if you choose to go hiking, you might jump out fear when a bush the rustles in the breeze or any other thing in your environment is perceived as possibly being a mountain lion approaching. It’s your nervous system’s way of protecting you. Shift gears to back to being on the couch watching television. A drama is on about a troubled marriage consumed with conflicts… and then experiencing, the same day in real life, your partner saying something that you felt was insensitive — and wham — dysregulation. Fear. Anger. Annoyance. The media consumed before the comment was made may have created a vulnerability factor, meaning the effects of taking in the media reduced your emotional resiliency to such a comment. If you’d been watching something uplifting earlier in the day, your response (or reaction) may have been quite different. Perhaps you would have had more patience or the comment would have just rolled off of you without much impact. Knowing how sensitive we feel to certain media, should we avoid all potentially upsetting or triggering content and live in a bubble believing all marriages are bliss, there is no violence in the world, and not learn to tolerate some uncomfortable feelings that may come up in an otherwise enjoyable film, book, etc? Personally, I no longer watch shows that show any harm to animals. As a vegetarian (and a vegan for many years), there was a time I thought it was important for me to see the reality of what was happening to animals. Man, did I see some graphic, totally dysregulating things that I may never forget. I now believe I know all that I need to on this subject, have my own personal convictions that lead me to make plant-based food choices, and I know that I have nothing to gain in exchange for subjecting myself to material I am pretty sure will cause me to feel distressed, upset, and dysregulated. So, I choose to abstain. Maybe you love watching old re-runs of the X-files because you enjoy the segments when Moulder and Scully are partnering up to solve a mystery, but you feel really uneasy or even triggered by the opening scenes, which tend to show violent or gory content. You could start with some problem-solving to see how you could be most effective because you do enjoy the show and want to watch it. What are all of the options you can list? Watch the show and include taking in the beginning of it so you have the whole story, knowing it may be upsetting or dysregulating. Mute and look away at the beginning and enjoy the rest of the show. Fast-forward at the beginning and enjoy the rest of the show. Do you believe it’s best to give up the show and not watch it at all? It is ultimately up to you, in each situation, to evaluate and choose whether participating in or viewing media is for your highest good and if you stand to benefit something that feels worthwhile — part of your life worth living — in the face of potential upset or dysregulation. What are your thoughts on this topic, and how do you typically handle upsetting media? I welcome you to join the conversation by commenting below. I look forward to your shares! 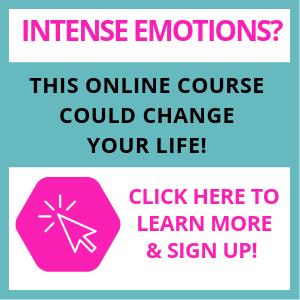 JOIN MY NEXT ONLINE DBT SKILLS COURSE, WHICH STARTS SOON! 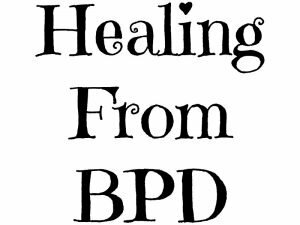 https://www.my-borderline-personality-disorder.com/wp-content/uploads/2018/12/healing-from-bpd-300x225.jpg 0 0 Healing From BPD https://www.my-borderline-personality-disorder.com/wp-content/uploads/2018/12/healing-from-bpd-300x225.jpg Healing From BPD2019-04-02 15:05:532019-04-02 15:39:05BPD: Why Do We Get Triggered By TV, Movies, and Books? For me personally I have given up on watching the morning news like I use to. I tend to get nervous or anxious while watching stuff that is negative which is about 90 percent of news these days. I really want to be able to handle such things because i feel like i’m making my own rose tinted glasses for my life. Avoiding this, not doing that. I really don’t like making it a habit but I tend to do so.